We analyze the scalar sector properties of a general class of two-Higgs-doublet models which has a global U(1) symmetry in the quartic terms. We find constraints on the parameters of the potential from the considerations of unitarity of scattering amplitudes, the global stability of the potential and the ρ-parameter. We concentrate on the spectrum of the non-standard scalar masses in the decoupling limit which is preferred by the Higgs data at the LHC. We exhibit charged-Higgs induced contributions to the diphoton decay width of the 125 GeV Higgs boson and its correlation with the corresponding Zγ width. N. Craig, J. Galloway and S. Thomas, Searching for signs of the second Higgs doublet, arXiv:1305.2424 [INSPIRE]. Y. Jiang, 125 GeV Higgs bosons in two-Higgs-doublet models, arXiv:1305.2988 [INSPIRE]. 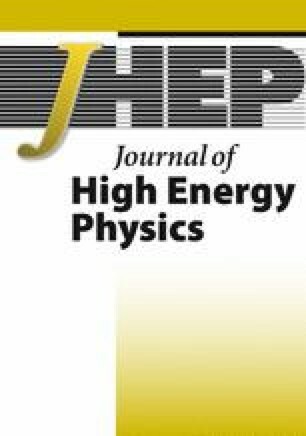 O. Eberhardt, U. Nierste and M. Wiebusch, Status of the two-Higgs-doublet model of type-II, arXiv:1305.1649 [INSPIRE]. L. Basso et al., The CP-violating type-II 2HDM and charged Higgs boson benchmarks, PoS(Corfu2012)029 [arXiv:1305.3219] [INSPIRE]. B. Swiezewska and M. Krawczyk, 2-photon decay rate of the scalar boson in the inert doublet model, arXiv:1305.7356 [INSPIRE]. M. Baak and R. Kogler, The global electroweak standard model fit after the Higgs discovery, arXiv:1306.0571 [INSPIRE].